Our palm wood products come from a small village in Pursat Province. 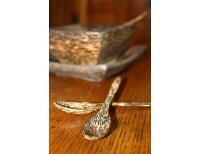 Skilled artisans hand carve these pieces, many produced specially for Pepper Project. These little spoons are great to keep handy for serving sauces or condiments. 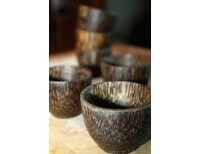 Solid palmwood 4 3..
Keep these bowls handy to pre-measure ingredients for fast and flawless cooking. They also look grea.. 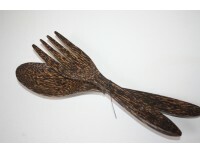 This serving set is hand made from palmwood in Pursat Province, Cambodia. 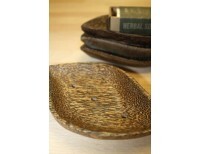 Each piece measures 10" lo..
With the rich wood grain of the palm, this leaf-shaped soap dish will bring a natural warmth to your..